CONCORD, NH (June 2017) – The Leadership Greater Concord Steering Committee, led by incoming chair, Lynda Plante, is pleased to announce the selection of the Leadership Greater Concord Class of 2018. 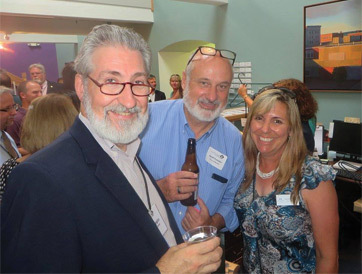 Celebrating its 25th year, Leadership Greater Concord is a ten-month program sponsored by the Greater Concord Chamber of Commerce designed to foster civic awareness and prepare emerging leaders for future community involvement. Over 500 alumni have completed the program and many serve on local town boards, nonprofit boards or a municipal committee. Applicants selected for the class of 2018 include: Sabrina Beavens, Upton & Hatfield; Sarah Bisson, Primex3; Kristina Carlson, Greater Concord Chamber of Commerce; Ananya Chatterjee, Bank of New Hampshire; Laura Chenoweth, Lincoln Financial Group; Caitlin Connelly, Shaker Road School; Tammie Croft, Northeast Delta Dental; Matt D'Amore, Automotive Supply Associates, Inc.; Isaac Davis, Northway Bank; Josh Hardy, Concord Community TV; Julie Lacey, Merrimack County Savings Bank; Mark Lester, Eastern Bank; Jim Major, City of Concord, General Services; Laura Miller, Marketplace New England, Inc.; Michelle Olivier, Merrimack County Savings Bank; Donna Parker, Make-A-Wish New Hampshire; Suzi Pegg, City of Concord; Doug Proctor, HL Turner Group; Emily Ricard, Lake Sunapee Bank; Lynne Sabean, Capitol Center for the Arts; Erin Schaick, CATCH Neighborhood Housing; Steve Smagula, City of Concord, Police Department; Lori Weaver, State of New Hampshire, Department of Health and Human Services and Annie Yonkers, Polkadots Gift Boutique. 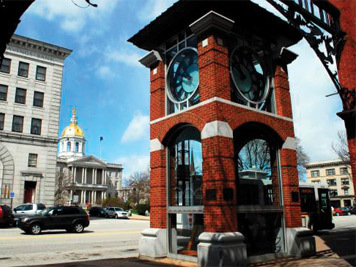 The program begins with an overnight retreat in September and will continue with a series of nine day-long sessions focusing on particular aspects of civic life in Concord, including history and culture, economic development, education, communications and the media, government and politics, criminal justice, health and human services and spirituality. For information about Leadership Greater Concord, please contact Valerie Blake at (603) 224-2508. The Greater Concord Chamber of Commerce is dedicated to developing economic opportunities, a strong business climate and enhanced quality of life in its communities throughout the region. For more information, please contact the Greater Concord Chamber of Commerce at (603) 224-2508 or visit concordnhchamber.com.